Read Chapter 2 God - Great Issues in Philosophy and answer the following questions by the designated due date. You may submit answers digitally in your Google Drive just make sure it is in the folder that you shared with me. Please answer all of the following questions for review. 1. List and define the attributes for God’s existence discussed in the opening section. 2. Give Leibniz’ version of the cosmological argument and Hume’s criticism of it. 3. What are the main objections to the design argument from analogy? 4. What are the main objections to the design argument from probability? 5. What is Gaunilo’s objection to the Anselm’s ontological argument? 6. What is Hume’s argument against miracles and the criticism of it? 7. What are the psychological theories of religious belief proposed by Marx, Nietzsche and Freud? 8. 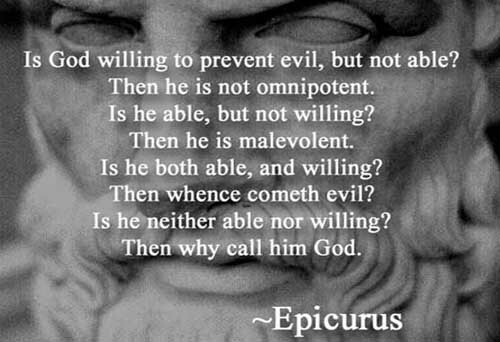 What is the freewill defense to the problem of evil, and what are some of the criticisms of it? 9. What are Pascal’s and James’s approaches to belief in God through faith? 10. What is Plantinga’s view of rationally-foundational belief in God? 11. What is the problem of conflicting doctrines with religious pluralism, and what is Hick’s solution? 12. What problem does the inaccessibility of God create for religious pluralism, and what is the pluralist’s solution? Please select only one question for analysis from those below and answer it. 1. Explain Leibniz’s version of the cosmological argument and try to defend it against Hume’s criticism. 2. Explain the probability argument for God’s existence and try to defend it against one of the criticisms. 3. Write a dialogue between Hume and a religious believer on the subject of miracles. 4. Write a dialogue between an atheist who defends the problem of evil, and a believer who tries to criticize it. 5. Try to defend Plantinga’s view of properly basic religious beliefs over James’s position. 6. Write a dialogue between a religious pluralist and a religious exclusivist. God is omnipotent meaning that He can do anything that is logically possible that is within his nature. Therefore, it is not a limitation of God. Question: "What is the Cosmological argument for the existence of God?" Question: "What is the Ontological argument for the existence of God?" Question: "What is Alvin's Plantigal's Modal Ontological argument?" Question: "What is the Moral argument for the existence of God?" 8. Transcendental Argument for God. God exists because they've experienced Him. The law of identity says that A is A, that if something exist it has a nature, a single nature. It is what it is. The law of non-contradiction says that A cannot be both A and not A at the same time and in the same sense. Truth is not self-contradictory. Logic is the backbone of critical thinking. Logic is extremely useful for uncovering error and establishing truth. There are principles of logic and I would like to introduce you to the first three laws of logic. These are very important. The law of identity states that A is A. An Apple is an Apple. In other words, something is what it is. If something exists, it has a nature, an essence. For example, a book has a front and back cover with pages. A car has four wheels, seats, doors, windows, etc. A tree has branches, leaves, a trunk, and roots. This also means that anything that exists has characteristics. We recognize what something is by observing its characteristic. You know that a tree is a tree because you see its branches, it's leads, its trunk, etc. Furthermore, if something has an identity, it has a single identity. It does not have more than one identity. In other words, if something exists it has a set of attributes that are consistent with its own existence. It does not have a set of attributes that are inconsistent with itself. Therefore we can easily conclude that a cat is not a parachute. An Apple is not a race car. A tree is not a movie. The law of non-contradiction tells us that A cannot be both A and not A at the same time and in the same sense. In other words, something (a statement) cannot be both true and false at the same time and in the same way. We use the law of non-contradiction constantly in discussions and debates because we are naturally able to recognize when someone is contradicting himself. If I were to tell you that yesterday I went shopping and then later I told you that yesterday I did not go shopping, you would be correct in saying there was a contradiction. A contradiction occurs when one statement excludes the possibility of another and yet both are claimed to be true. Since we know that both cannot be true, we see a contradiction. From this principle, we can conclude that truth is not self-contradictory. This is a very important concept. Let me repeat it. Truth is not self-contradictory. The law of excluded middle says that a statement is either true or false. For example, my hair is brown. It is either true or false that my hair is brown. Another example: I am pregnant. The statement is either true or false. Since I am a male, it is not possible for me to be pregnant. Therefore, the statement is false. If I were a female, it would be possible for me to be pregnant (given normal bodily conditions). A woman is not "kind-of" pregnant. She either is or is not pregnant - there is no middle position. The law of excluded middle is important because it helps us deal in absolutes. This is particularly important in a society where relativism is promoted and truth statements are denied. The Christian God is defined as a personal being who knows everything. According to Christians, personal beings have free will. (1) God either can or cannot create a rock that is so heavy that he cannot lift it. (2) If God can create a rock that is so heavy that he cannot lift it, then God is not omnipotent. (3) If God cannot create a rock that is so heavy that he cannot lift it, then God is not omnipotent. (4) God is not omnipotent. (5) If God exists then he is omnipotent. (6) God does not exist. We agree that a "married bachelor" can not exist because it is contradictory and self-refuting. An omniscient God is self-refuting and contradictory. If God knows everything, then he cannot forget because the moment he forgets, he doesn't know everything. However, if God cannot forget, he then doesn't know how to remember or recollect. If he can't recollect, then there is something he doesn't know- he doesn't know how it feels to recollect or remember something. A great question people ask when tragedy and natural disasters happen is where is God? Religious theists can not answer this question adequately as it provides a great problem with the theory of a "good and just" God. -Why does God allow terrible things to happen to good people? -Why does God allow innocent children to die of starvation in Africa? -Why does God allow natural disasters like earthquakes to kill both sinners and innocent people indiscriminately? There are four flawed religious answers to these questions. 1) God gives man freewill. We shouldn't judge God based on what man does with his freewill! -A natural disaster has no freewill and there is nothing man can do with his freewill against an earthquake (except run/help survivors). -An omniscient God can not give freewill. Such a God knows everything- what will happen and when it will happen- predetermination. -Worse things even happen to those people who worship him and innocent children. -An earthquake doesn't care if you are good or bad. -Such a God can not be just. Why not Judge people individually rather than kill indiscriminately with floods and disaters? -Greater good for who? The societies ravaged by earthquakes? The dead victims? 4) God is not involved in these tragedies! -He is either not omnipotent or selfish to help. The Argument from Locality runs as follows: Every religion currently being practiced on this planet, as well as every past religion which no longer has followers, has a definite, discernible origin in time and space. Even if the exact beginnings of a religion are murky, that religion still originated in a definite area and in a definite time period. However, I argue that any god or gods which existed and which desired to reveal themselves to humanity would not do this - they would not provide a revelation to only one culture, at one time, in one place. There are several good reasons to believe this, and if it holds, then any religion which did have only a single point of origin cannot possibly be true. In short: The fact that all religions originated in one specific culture, at one specific time and place, points strongly to their being the product of that culture, time and place - and not the product of divine revelation. 1. Any deity which desired to be believed in would reveal itself to everyone, not just to a specific person, culture, race or nation. 2. If there is a reward for believing, it is fundamentally unfair that some would receive more and more reliable evidence than others. 3. If there is a punishment for not believing, it is fundamentally unfair that some would receive less evidence than others, or no evidence at all. 4. A religion which strongly reflects the beliefs of its time is more likely to be a product of its time than of revelation. Human beings will always see things from a human perspective. Our truth and knowledge begins with the use of the 5 senses. Our objectivity is subject to a human bias. Since pure objectivity doesn't exist due to our natural human bias, morality objectivity as well doesn't exist. Also, the holy books of the Abrahamic faiths (the bibles and the Quran) can not be objectively interpreted. There are so many interpretations of the Quran and the bibles that are quite contradictory. For example, some Muslims scholars support wife beating, others don't. Also, some Christians believe in tithing, others don't. We human beings can not understand beyond our 5 senses or beyond our human perception. A being that is outside our five senses with an objective morality beyond human perception will mostly be invisible or unknowable to us. His laws would always be interpreted from a human perspective and therefore misinterpreted. Some see God in visions, some see him in dreams and some see angels that represent him. The holy books that are supposed to be God's word have various interpretations. How do we then get objective morals from such a subjective experience? Dan Bark vs. Matt Slick Debate: "Does God Exist?" Pecha-Kucha presentations are becoming more popular due to their time efficiency and engaging characteristics. The 20×20 (20 slides/images for 20 seconds each, with oral descriptions) presentation is made easily in iMovie. Choose an argument from either the theist or atheist perspective for the existence or non-existence of a greatest possible being (God). Using iMovie App you will create a video in the format of a Pecha-Kucha which contains 20 slides with 20 images with oral description. (20 Slides for 20 seconds each). Your purpose is to create a Pecha-Kucha that will argue and explain from the desired viewpoint of your choice (theist or atheist). Besides just explaining the argument it would also be a good idea to refute the opposing viewpoint’s argument to better defend your position. When done the Pecha-Kucha will be uploaded to the class YouTube account.